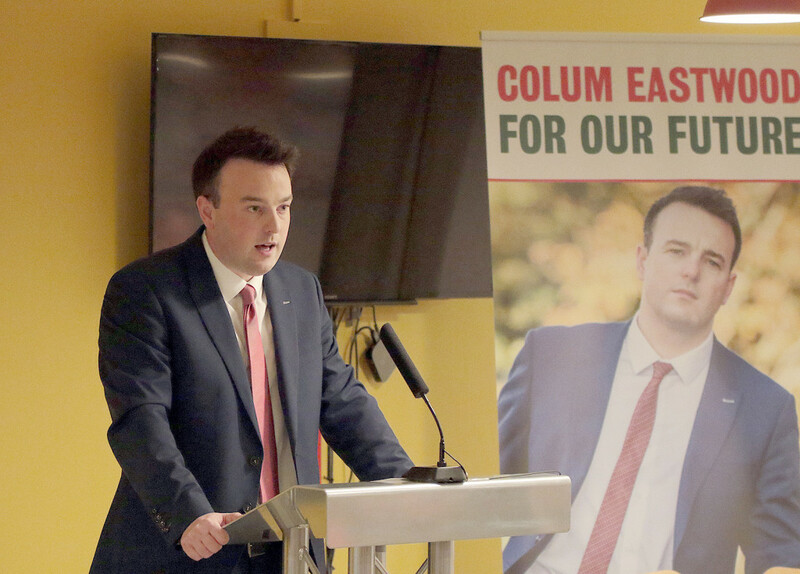 YOUNG pretender Colum Eastwood brought the fight for the SDLP leadership to his opponent’s door last night, launching his campaign on the boundary of Alasdair McDonnell’s South Belfast constituency. The Foyle MLA was backed by a host of leading party figures at a gathering in The Hive, a social enterprise on the Grosvenor Road near the border of West and South Belfast. In the audience were a number of heavy-hitters including deputy leader and Upper Bann MLA Dolores Kelly, South Belfast MLA Claire Hanna, who was co-opted on to the Assembly when Dr McDonnell gave up his Stormont seat, West Belfast brothers Alex Attwood MLA and Councillor Tim Attwood and party grandee Bríd Rodgers. 32-year-old Mr Eastwood laid out his plan to revive the party’s ailing electoral fortunes and said said he’s “ready and able” for the job. The former Mayor of Derry said he wanted to lead the party in an official opposition at Stormont and added that he would work to reform the widely derided ‘Petition of Concern’ system. Mr Eastwood told the local paper, the Andersonstown News, that Belfast is a good example of how the SDLP has faltered – and of how it can be revived. In a rare interview yesterday with the BBC, party leader Alasdair McDonnell took an oblique swipe at his challenger. Mr Eastwood promised to stage several more events across the north ahead of the leadership vote at the party’s annual conference in Armagh on November 13.